Columbia Timber Tech is a waterproof, fully seam-sealed hard shell that performs as though it's insulated. The jacket is lined with Columbia Omni-Heat thermal silver reflective dots that perform essentially like a breathable space blanket to retain natural body heat; Omni-Heat reflects heat back inside but lets body vapor escape. Without traditional insulating materials the jacket is low profile and allows for the full range of motion that a hard shell provides without compromising warmth. 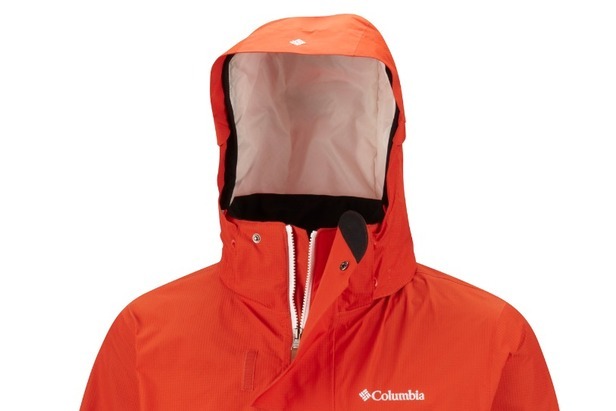 The shell is constructed with Omni-Dry, Columbia’s best waterproof, ultra-breathable technology. Under-arm ventilation, a removable storm hood and a removable, snap back powder skirt complete the package.